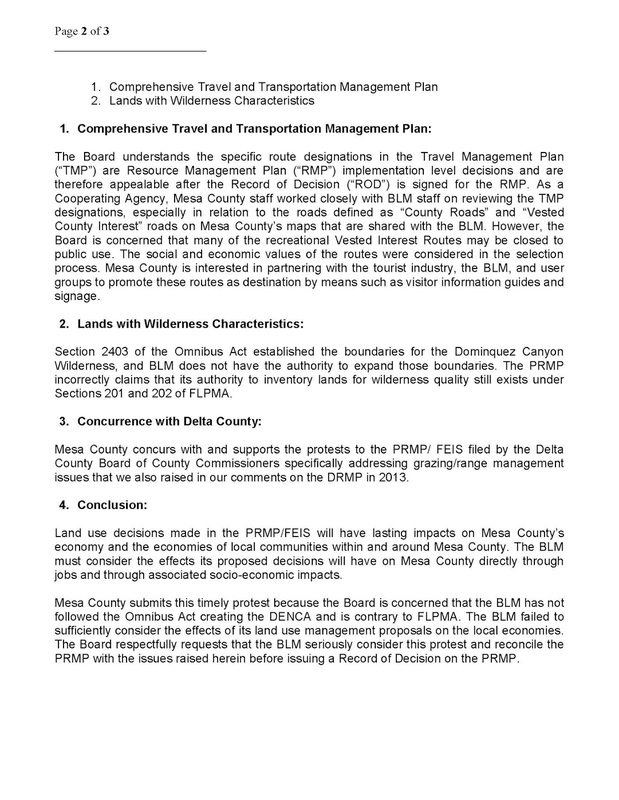 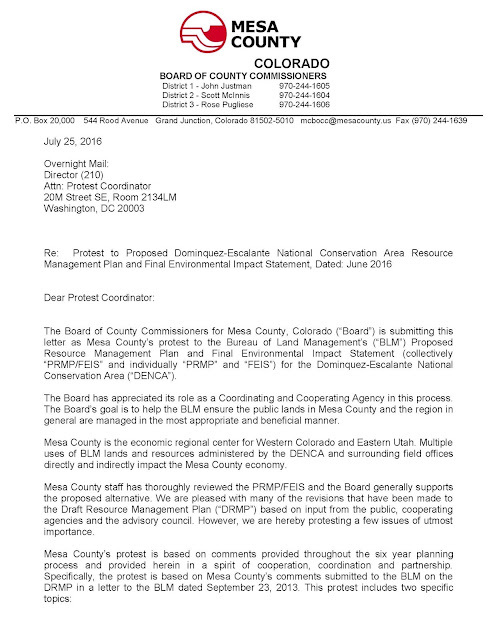 This morning the Board of County Commissioners (BoCC) authorized and signed a letter to the Bureau of Land Management (BLM) as the County's formal protest to the Proposed Resource Management Plan (PRMP) and Final Environmental Impact Statement for the Dominguez-Escalante National Conservation Area. 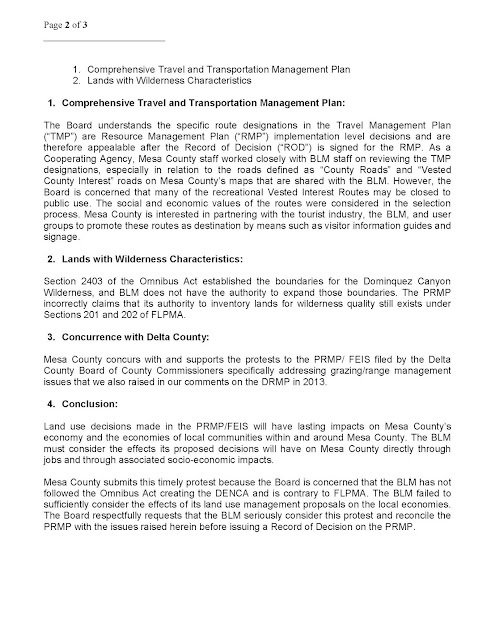 The County's protest is based on input from the public, cooperating agencies, and the advisory council throughout the six-year planning process. 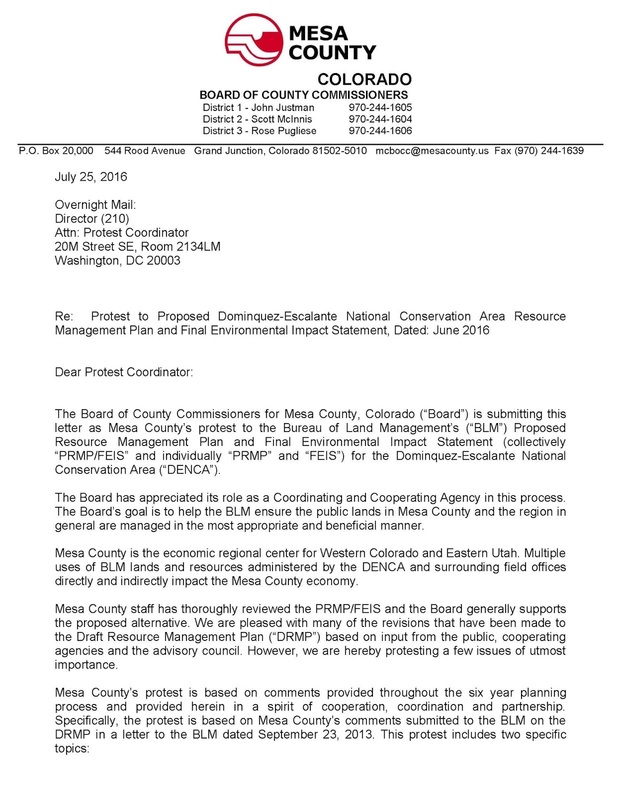 The BoCC strongly expresses multiple-use should be administered in an appropriate manner since outdoor recreation is vital to Mesa County's economy, but most importantly the BLM should not obstruct citizens from accessing their public lands. The second letter signed by the Board was also to the BLM, which outlined the scoping comments on the Federal Coal Programmatic Environmental Impact Statement (PEIS). 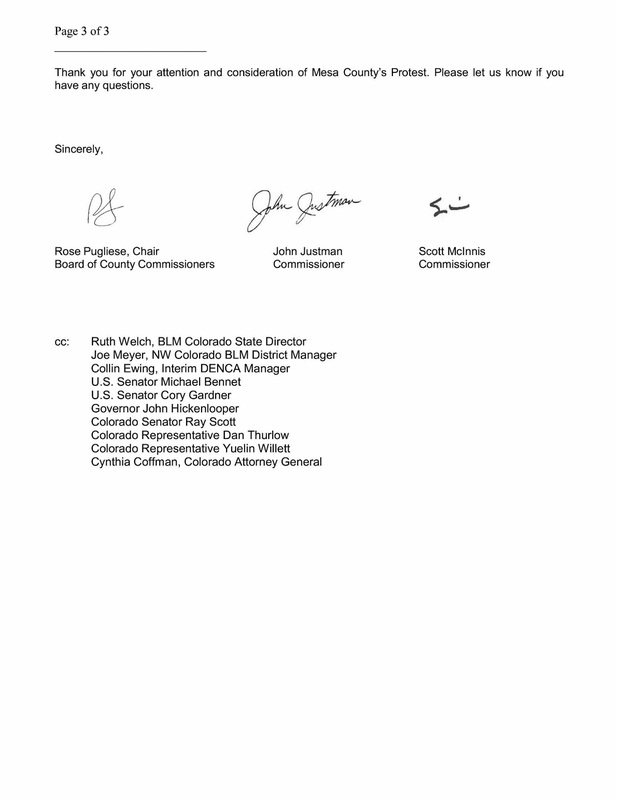 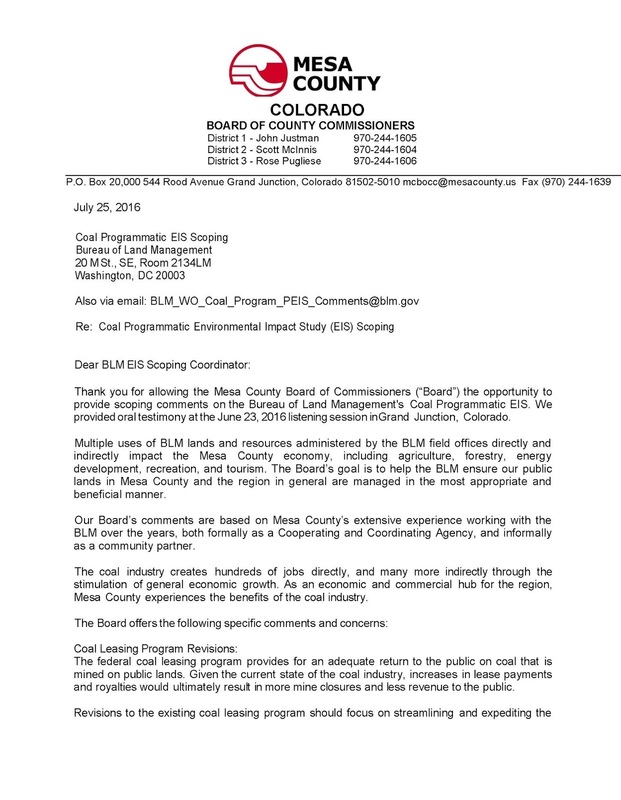 The letter is a formal follow-up to verbal testimony that was given by Commissioner John Justman at the Grand Junction, Colorado, BLM public input meeting regarding the federal coal program. 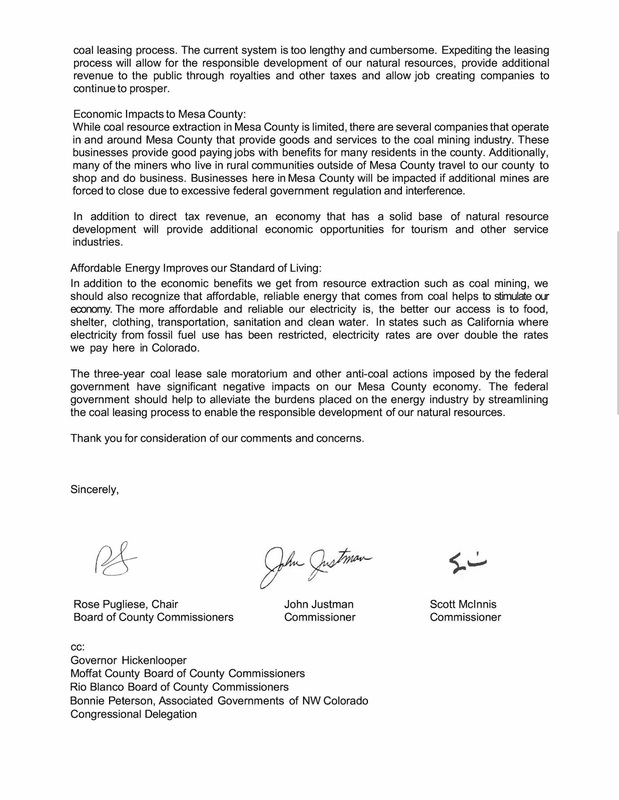 Commissioner Justman stated that the three-year coal lease sale moratorium along with other anti-coal actions imposed by the federal government negatively impacts Mesa County's economy.